One solitaire natural sapphire center gemstone represents the Friendship and Love of Jesus Christ. Sapphire center gemstone weighs approx. 0.12 Carats. 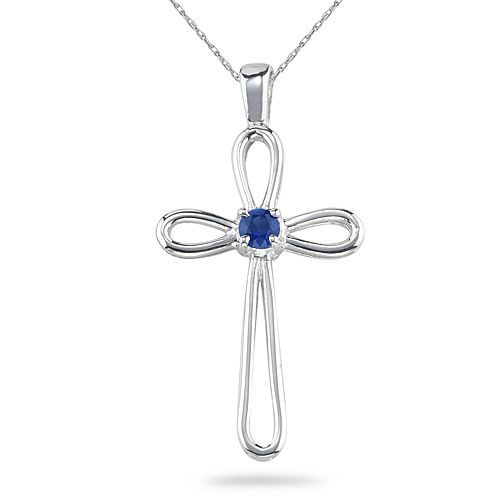 We guarantee our Sapphire Solitaire Cross Pendant, 14K White Gold to be high quality, authentic jewelry, as described above.